An internationally-acclaimed medic and his team of workers showed a ‘cynical disregard’ for the NHS by working just half their contracted hours in a scam which cost taxpayers £1.1m. The four top health experts, all from London, were employed by Basildon hospital in Essex on full-time salaries to provide expertise on operating heart and lung machines during operations. But the fraudsters billed the hospital for 14,000 hours that they never worked – while ‘arrogantly flitting’ across other NHS trusts in London making ‘truck loads of cash’ as private contractors. Their scam became such a cash cow that they secretly referred to the hospital as ‘Bas Vegas’ and set up a ‘bonus points’ in which they rewarded themselves for successfully carrying out the con. ‘Leader’ John Mulholland, 41, a highly respected perfusionist who is published widely in academic journals, alone billed the NHS for more than £400,000 of work that was never done. All four defendants – all of whom were directors at a private company in London at the time – have now been jailed for a total of nine years for the ‘systematic, well-planned’ scam. Mulholland was jailed for three years while his co-defendants – Martin Oliver, 36, Ann Clements, 51, Tom Cumberland, 41 – were all handed two-year terms. They all worked as perfusionists – blood circulation specialists who operate heart and lung bypass equipment which keep patients alive during heart surgery. The shamed medics were convicted by a jury in July this year after a 13-week trial of one count of conspiracy to defraud the NHS between 2007 and 2011. Judge David Owen-Jones branded Mulholland the ‘leader’ of the fraud, saying there was ‘no doubt’ his involvement was ‘greater than your co-directors’. He said: ‘This was a systematic, well-planned and organised and executed deception by all of your over a significant period of time – four years, or so, in total. ‘While taking a salary from the NHS for a 37-and-a-half hour week, you worked elsewhere at other hospitals during NHS hours. You all four gravely abused the trust placed in you. The court heard that the four medics – who were directors at London Perfusion Science Ltd (LPS) – were contracted between 2007 and 2011. They were employed to provide clinical perfusion services to manage heart and lung machines during cardiac surgery at Basildon. But they failed to work their contracted hours, instead opting to make extra money at other hospitals, mainly Hammersmith. During the four-year period, the fraudsters were overpaid by about £420,000, the court was told. 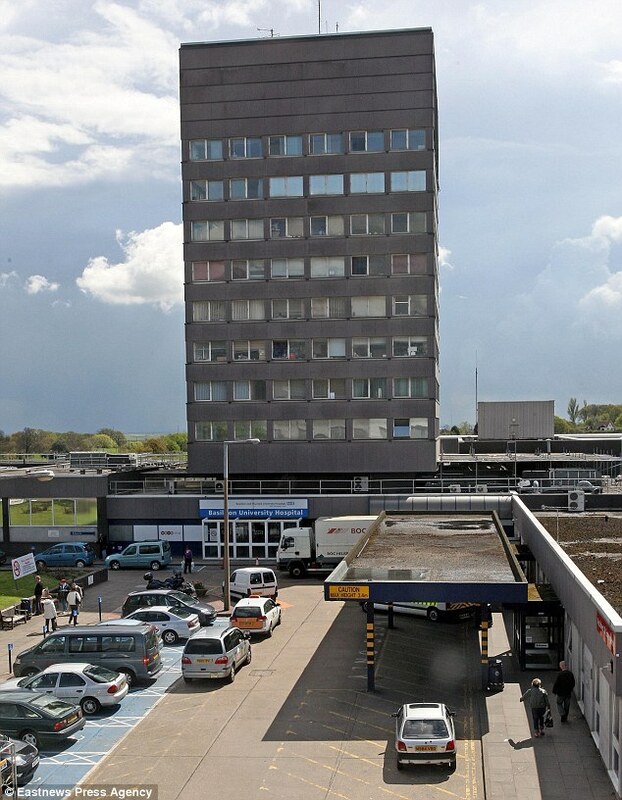 The private work they charged for at other hospitals while they should have been at Basildon gave them a further £700,000. Basildon Crown Court was told how a series of damning e-mails led to the downfall of the medics. Opening the case earlier this year, prosecutor Shane Collery told jurors: ‘This is in many respects a sad case. It involves one of the perfusion medical teams at Basildon Hospital engaging in a fraud. ‘They provided significant services to the public and were rewarded by a salary but it was not enough. In one of the crucial e-mails, Mulholland warned that care needed to be taken with the amount they were billing the NHS ‘so as not to draw attention to the number of people we have doing nothing’. In May 2010, he also referred in an e-mail to how one of his team would ‘continue to make us truck loads of cash paid for by Vegas’. One, sent by Mulholland to other defendants, revealed he tried to avoid NHS work ‘unless it’s going to make cash/make our lives easier’. And in another damning e-mail Clements sent to Mulholland, she said: ‘Look at ‘Bas’ and the manipulation that we go through there to make it run without highlighting people are missing. 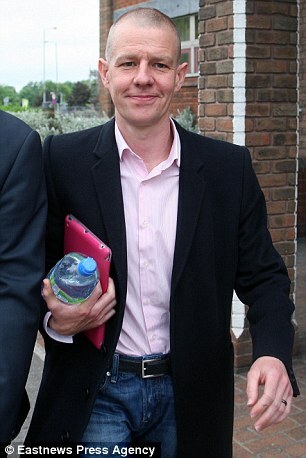 Mullholland was arrested by detectives as he arrived to attend a meeting at Basildon Hospital. Mr Benjamin Summers, mitigating for Mulholland, said he had a seriously ill young daughter who requires round the clock care for a chronic lung condition. Mulholland has also had to resign for a variety of highly respected roles within the industry and is highly likely to struggle to find work within the ‘small community’ when he leaves prison. Dean Armstong, QC, on behalf of Clements, told the court: ‘She was a high-class perfusionist, whatever the circumstances, she is a loss to the profession. Adam Kane, for Oliver, from East London, said it was a ‘most unusual fraud case’ in that the defendants had not achieved an easy life and were ‘still working all the hours that God sends’. David Whittaker, for Cumberland, from Penge, said his client did not play a leading role in the scame. He now lives ‘quietly’ with his elderly mother in Anglesey and will never work within the industry again. All the defendants were banned from holding directorships of companies for four years. Two other junior colleagues from LPS charged with the same count were acquitted at the trial. After the hearing Sue Frith, head of the National Investigation Service at NHS Protect, said: ‘From day one, John Mulholland and his associates set out to defraud the NHS of hundreds of thousands of pounds. There will be a proceeds of crime hearing at a later date. What does this have to do with whistleblowing? Moonlighting in the NHS is what I blew the whistle on? This is the 1st time anyone has been held to account for moonlighting in the NHS despite numerous NHS staff raising concerns. So, it very relevant.